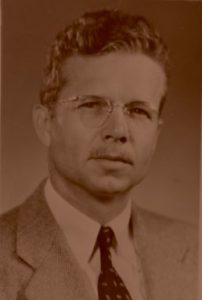 Dwight was a professor at the Boulder campus of the University of Colorado from 1960-1963. Positioned at the base of the foothills of the Rocky Mountains, there were plenty of opportunities for recreation. In addition, Colorado had fond memories for Dwight. His trips there when he was a boy had been an escape from an unhappy home life in Kansas City, the farm near Stover, Missouri, and Versailles. He even composed a sentimental song in a competition to select a new Colorado state song. Titled “My Colorado,” it began, “My own, my Colorado, The place I long to be, Where pines in wind and shadow, Are beckoning to me.” But nothing came of it. The mustache was still there when this photo was taken! Photo courtesy of Special Collections and Archives, University of Colorado at Boulder Libraries. 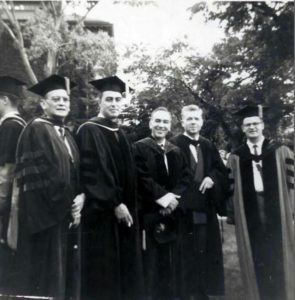 Just before the professors marched at the June 1961 commencement. Photo courtesy of Special Collections and Archives, University of Colorado at Boulder Libraries. 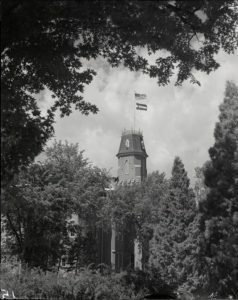 Old Main, the Boulder campus university building where Dwight taught from 1960-1963. Photo courtesy of Special Collections and Archives, University of Colorado at Boulder Libraries. 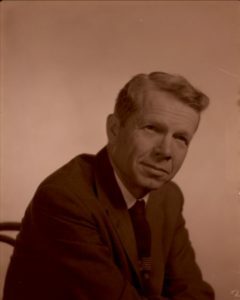 A later formal photo of Dwight. Courtesy of Special Collections and Archives, University of Colorado at Boulder Libraries. Of the places the Bolinger family lived, their daughter Ann loved Boulder the most. She had freedom to explore, loved the walking and swimming opportunities, and found the weather to her taste. Changes in the political makeup of the University of Colorado Board of Regents left Dwight open to a change. A talk that he gave in Boston was followed by an offer from Harvard University in 1963, so it was time to move again. His friend Pierre Delattre left the following year for the University of California at Santa Barbara.